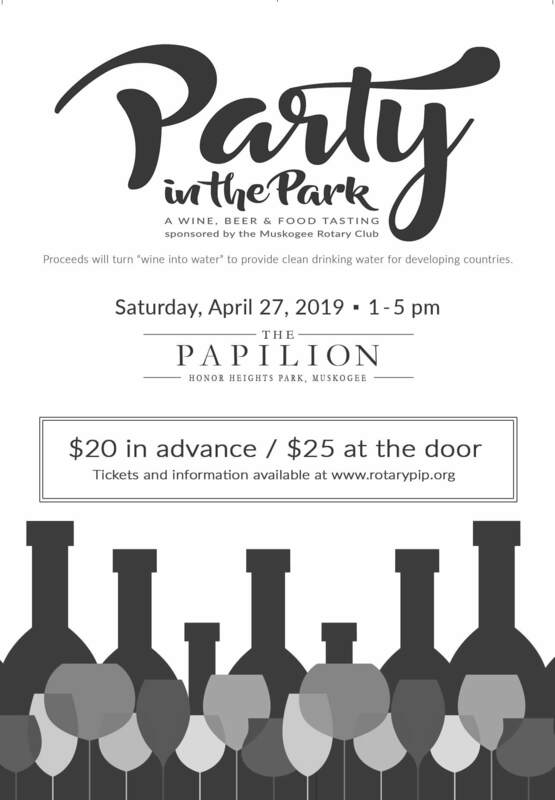 Muskogee, OK— Muskogee Rotary Club ‘turns wine into water’ at its 12th annual Party in the Park fundraiser on Saturday, April 27 in beautiful Honor Heights Park. This event brings together Oklahoma wineries, breweries, and local food vendors for an afternoon of wine, beer, and food tasting at The Papilion, the park’s butterfly garden. Listen to live jazz and enjoy what the park has to offer from 1:00 p.m. – 5:00 p.m.